Ask Andrea: Before I left Philadelphia, I stocked up on Bumble & bumble Invisible Oil Shampoo & almost exclusively used Bb products for the last 18 months. I was gobsmacked when I realized Crimson had switched their retail from Bumble to the evo product line! I have to admit I was skeptical, I love a label, and I had never heard of evo. 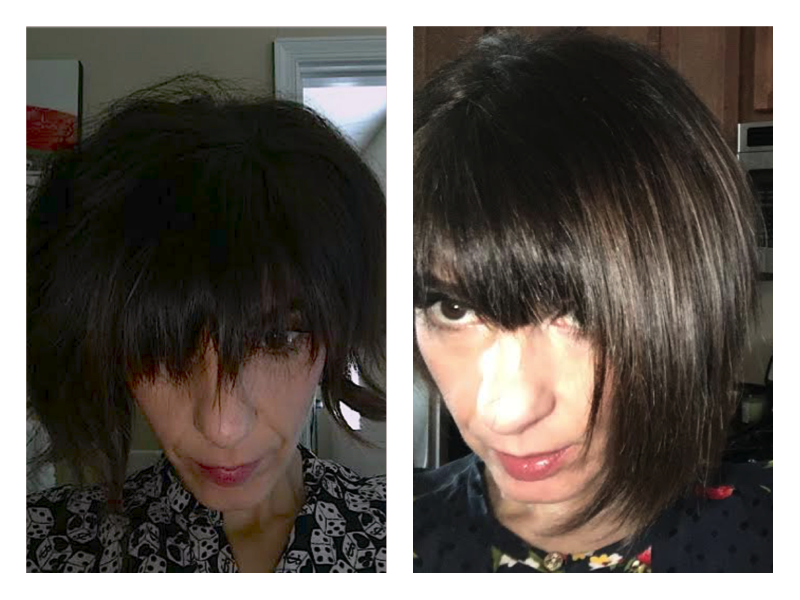 Andrea’s Experience: As of late my hair and scalp had been extremely itchy and dry & I passed it off to myself as, ‘well, this is what happens after turning 40’. I learned about the evo line & when I arrived home after my monthly work visit to Crimson, I gave my new Evo The Therapist Shampoo a try. Andrea Educates: EVO’s product lines are categorized in “Families”; Therapist Shampoo is in the Calming Family. It’s a moisturising shampoo that gently cleanses, repairs and hydrates dry, frizzy, color-treated hair. Andrea’s Endorsement: I am born again, a true believer in evo! My hair is shiny my scalp has been soothed! Goodbye Bumble, Hello Evo! Andrea Before and After. Switched from Bb Invisible Oil Shampoo & dry scalp to evo The Therapist Calming Shampoo for shine & frizz control! Follow Evo Hair; their aesthetic is divine!